After a 23 year absence, it looks like Fantasy General is back, with a modern reimagining of the classic 90’s high fantasy turn based strategy game. 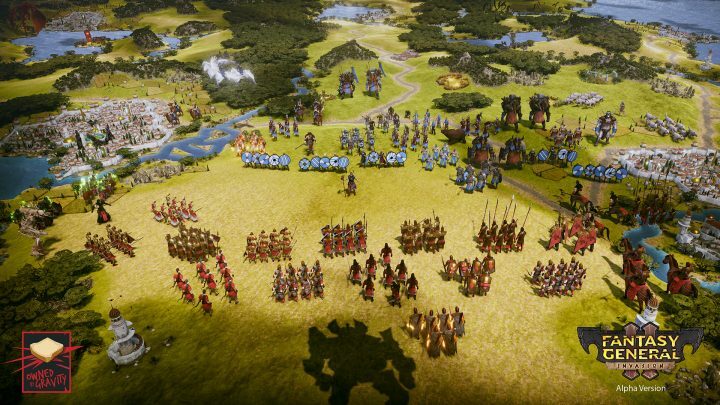 Fantasy General II takes place 300 years after the events of the first game and aims to deliver a rich narrative across its extensive single-player campaign as well as allowing players to do battle in online multiplayer matches. Fantasy General II will feature over 75 unique types of unit, each of which has their own unique abilities, weapons and armour, and each of which can be upgraded and equipped with powerful magical artefacts. Other factors such as morale and terrain will have a significant effect on your unit’s effectiveness so you need to take them into account as you plan and execute your battles. It’s a great looking game that looks set to offer deep strategic battles as you make your way through a land filled with trolls, golems, lizardfolk, werebears, centaurs and other fantastical creatures. Sign up now for a chance to be one of the first to draw battle-lines in the lore rich fantasy land of Keldonia.